Christmas, Easter, Mother’s Day, Father’s Day, all these celebrations are fine but what about us geeks? Don’t we deserve a day where we can do our own thing and celebrate? Well if you didn’t know it, this day exists! In a few days it’s π (Pi) Day! Appropriately celebrated on the 14th March (i.e. 3/14/2012), this is the time of the year that we can show off our geekiness and celebrate our love for math and science. π day is a secular holiday that lets us commemorate the mathematical constant π (pi). As you know π is the ratio of a circle’s circumference to its diameter (i.e. π=C/d) and is approximately equal to 3.14159. The Greek letter π is used because it’s the first letter of the word περίμετρος (perimeter in Greek) and thankfully for the day’s celebrations it is pronounced like the word “pie”, making pie the perfect food for the day. π is fascinating because of its importance in so many scientific calculations and because it’s an irrational number, meaning that its value cannot be expressed exactly as a fraction having integers in both the numerator and denominator. As a result its decimal representation never ends and never repeats. A lot of effort has been put into calculating it and the latest record is at 5 trillion decimal places. Due to the simplicity of its definition, π is the most recognised mathematical concept and has a strong position in popular culture. How you celebrate Pi Day is entirely up to you. Here is my plan for the day and some ideas of what you can do. Enough about π and me. Here are some ideas of what you can do to celebrate Pi Day. This day just cries for baking. Because of π’s pronunciation as pie, what else can you do but bake some pies? A pie that has pi’s within the pie! Of course baking doesn’t have to stop with pies. Anything you can bake can be turned into a celebratory creation by shaping it into a Pi (cookies anyone?) and don’t forget about pizzas! You can also go the simple route of consuming foods that start with Pi like pineapple and pine nuts. The Raspberry Pi is a well anticipated little computer. Head over to element14, enter their competition about what you would do if you had one and you might be the winner, which of course will be announced on Pi Day! Back in 2008 someone created this amazing crop circle. At first people were baffled with the meaning of it, then a retired astrophysicist named Mike Reed found that it’s a representation of the first ten digits of Pi. 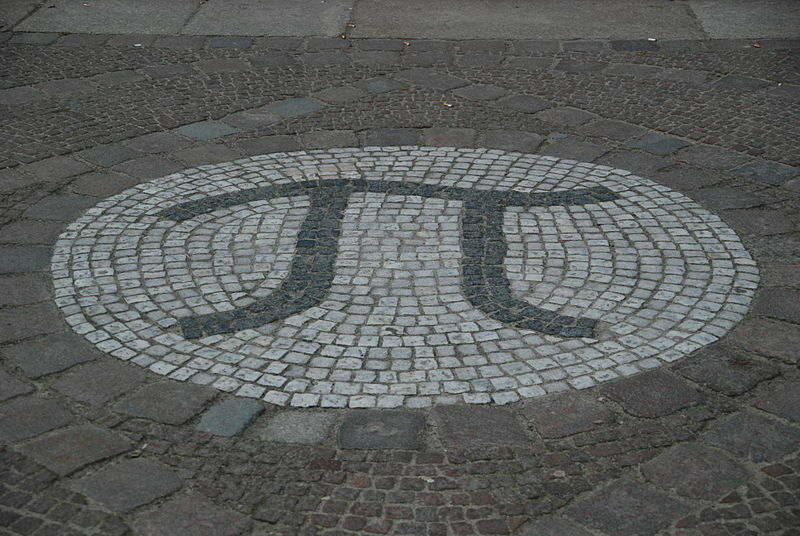 If you want to read the full story of how Pi is represented, read this article. Calculating Pi is easy (just divide a circle’s circumference with its diameter) but there are also experimental ways to calculate it. The most fun is the one detailed in this wikiHow article, using frozen hot dogs. The San Francisco Exploratorium continues to hold Pi Day events every year. Join them this year so you can meet Larry Shaw in person, sing a birthday song to Albert Einstein and have a piece of pie. If you are around Princeton, then join them for their annual celebration. Events include a tour of the Einstein Exhibit and a movie showing of Ball of Fire. Can’t find a local event? That’s what online challenges are for. First is the Pi Day Challenge, a series of logic-based puzzles starting on March 14th. Second is the Pi Day Baking Challenge, brought to you by Serious Eats and Instructables with a chance to win an iPad! Just a few days to get ready for one of the best celebration of the year. How are you celebrating? Let us know in the comments.